November 2016 Employee of the Month! At Your Employment Solutions we know that the staffing business is the people business. YES, we want to help people find good jobs in Utah! Our company mission is to match the right person to the right job every time. That said, we truly appreciate and care about the people we get to meet and work with on a daily basis. We wouldn't have been voted one of the best places to work in Utah if not for our hard-working and incredible co-workers and employees! We asked Zachary to answer a few questions about YES. Here's what he told us. 1. How did you find out about YES? I found your staffing agency searching online through Indeed. 2. Whats been your favorite job through YES? Working with DWA. It gives me the instant gratification of seeing a completed project. 3. What do you think would make YES better? At this time, nothing. I have had a wonderful experience working for YES. 4. What would you tell someone looking into working with YES? I would tell them that YES is a very friendly company to work for and that it is an awesome way to find a job opportunity that I truly enjoy. Zachary was awarded a thank-you certificate and YES shirt for his great work. Thanks again Zachary for being a part of the hard-working Logan, Utah staffing team at Your Employment Solutions! 1. How did you find out about YES? I drove by Valley Fair Mall and saw the signage at the old location when I was on my way to the Department of Workforce Services. 2. Whats been your favorite job through YES? Holiday Trainer. It allow me to use other skills I have and contribute more. 3. What do you think would make YES better? Nothing. Everyone has been great. 4. What would you tell someone looking into working with YES? I would tell them they can get to work quickly. That YES is a good staffing company to work for. Steven was awarded a thank-you certificate and YES shirt for his great work. 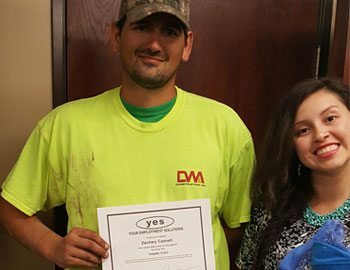 Thanks again Steven for being a part of the hard-working West Vally City, Utah staffing team at Your Employment Solutions! We asked Manuel to answer a few questions about YES. Here's what he told us. 1. How did you find out about YES? A friend recommended me to come into YES when I was looking for a job. 2. Whats been your favorite job through YES? Here at Fresenius Because this was the first job I gotten through YES. 3. What do you think would make YES better? I think YES does a good job as it is and helps YES employees out a lot. 4. What would you tell someone looking into working with YES? To trust YES and they will would help you out a lot. 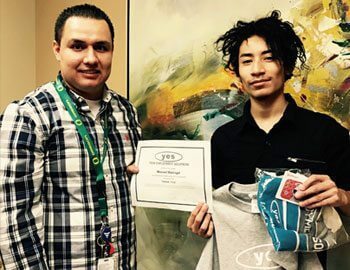 Manuel was awarded a thank-you certificate and YES shirt for his great work. 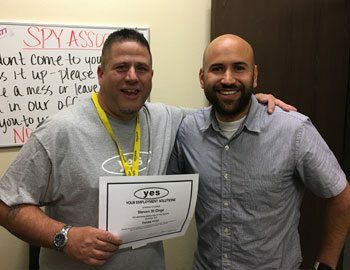 Thanks again Manuel for being a part of the hard-working Ogden, Utah staffing team at Your Employment Solutions! Heidi was awarded a thank-you certificate and YES shirt for her great work. Thanks again Heidi for being a part of the hard-working Utah staffing team at Your Employment Solutions! Congratulations Maria Isabel Ruiz Day! 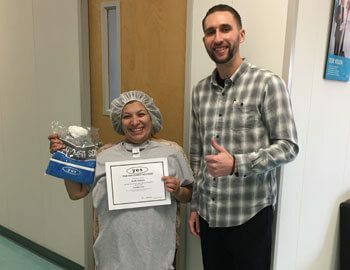 Maria was awarded a thank-you certificate and YES shirt for her great work. Thanks again Maria for being a part of the hard-working Salt Lake City, Utah staffing team at Your Employment Solutions! We asked Ruth to answer a few questions about YES. Here's what she told us. 1. How did you find out about YES? I found your staffing agency from Synergy Health. 2. Whats been your favorite job through YES? Synergy Health. 3. What do you think would make YES better? Ask more about how we're doing or feeling about the job. 4. What would you tell someone looking into working with YES? 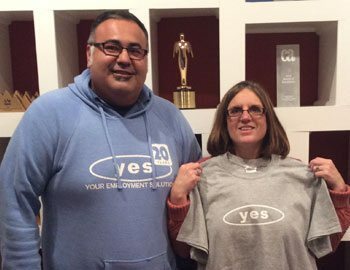 YES is a good staffing agency! I recommend them! Ruth was awarded a thank-you certificate and YES shirt for her great work. 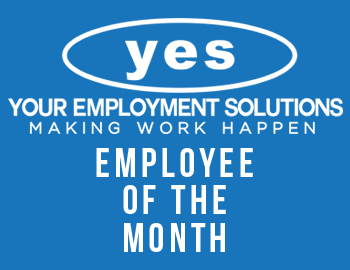 Thanks again Ruth for being a part of the hard-working West Vally City, Utah staffing team at Your Employment Solutions!